Make use of corner space in your dining room or family room and display fine crystal, antique tea cups or treasured artwork that you love. 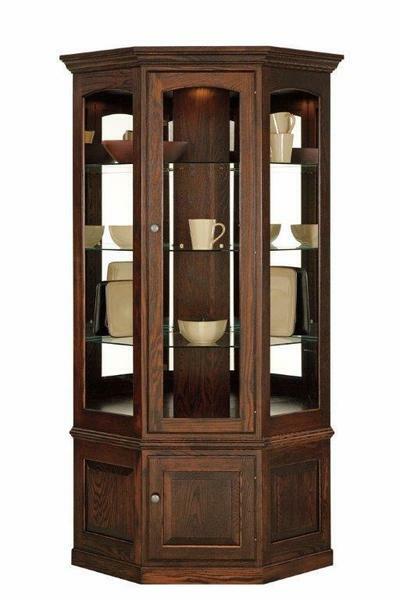 Our American Hardwood Corner Curio Cabinet displays three glass shelves on top and storage space at the base. You choose the wood and stain for this Amish made furniture that is handcrafted right here in the U.S.A. Consider our Deluxe 3 Piece Sliding Door Curio Cabinet for a grand option for larger rooms.